Acute injuries often strike at the most inconvenient times. Whether you take a spill on the job and hurt your back or your child sprained his ankle playing soccer, you need immediate care from an orthopedic specialist. At Tulsa Bone & Joint Associates, our Orthopedic Urgent Care Clinics provide walk-in access to orthopedic care for the entire family. No appointment necessary! Our Tulsa Orthopedic Urgent Care is open late nightly and on Saturday mornings, so you can receive the care you need immediately for faster healing. Auto accident injuries including whiplash; however, third party billing is not accepted. Tulsa Bone & Joint Orthopedic Urgent Care connects you with the very best orthopedic surgeons and doctors in Tulsa at a moment’s notice. Injuries can happen to anyone, anywhere. Pulled muscles and sprained ankles can happen on the field or during a workout; back injuries can happen on the job or at home; and accidental falls can cause broken bones. When you have an unexpected injury, you may not have the luxury of waiting for an appointment. Our orthopedic urgent care facility is open six days a week with walk-in hours up to 7:00 pm on weeknights and until noon on Saturdays. We deal specifically with orthopedic problems and arrange for fast follow-up care with the appropriate specialist at Tulsa Bone & Joint. Learn more about what we do below, and please do not hesitate to contact us with questions. Our walk-in clinic offers on-site services including diagnostic X-rays, immobilization, and treatments for acute conditions including shoulder injuries, (excluding dislocated shoulder), sprains and strains, knee injuries, foot/ankle injuries, auto accident injuries related to orthopedic trauma, including whiplash and much more. Equipped to help amateur, student, and professional athletes alike, our Orthopedic Urgent Care Clinic offers immediate treatment for acute sports-related injuries, with follow-up care scheduled within 48 hours of your initial visit. An individualized treatment plan will be developed to help you get safely back in the game. Below are the patient services we offer within our clinic to ensure that the best technology is used to diagnose and treat a patient’s injury. Tulsa Bone & Joint Associates serves as the official orthopedic team physicians for the following sports organizations and has served as the sports physicians for professional and semi-pro sports teams in Tulsa. With a long history of community involvement and physician commitment to the local sports community, Tulsa Bone & Joint Orthopedic Urgent Care offers local athletes the additional convenience of an urgent care facility. Our goal is to bridge the gap between the emergency room or a regular urgent care clinic and specialized orthopedic care for your entire family. Offering prompt orthopedic urgent care treatment for your family’s injuries leads to a more inclusive and sometimes quicker return to overall health. All of our urgent care services offer experienced providers who put patient care first. This philosophy has proven effective in returning families to work, to play, and to life faster and more conveniently and affordably. A population that is growing older and staying more active has led to an increase in lifestyle and recreational-related injuries and traumas. With accessible orthopedic care, we can diagnose and develop a treatment plan for each patient based on the patient’s medical history and physical examination, as well as imaging tools such as X-ray and MRI. Afterward, follow-up care can be scheduled within 48 hours of the patient’s initial visit. Our group works closely to ensure that each patient receives personalized, one-on-one care to achieve the highest level of function and pain relief possible, in the shortest amount of time. Our providers understand how important it is for the employer and case manager to receive immediate feedback regarding treatment options and work status reporting following the patient’s examination. Our staff is also trained and certified in Chain of Custody drug testing for post-injury accidents. We have an experienced workers’ compensation department available Monday through Friday to personally see to the needs of the patient as well as the employer. Tulsa Bone & Joint Associates has a workers’ compensation department to assist you, your employer, case manager, and adjuster during the care of your work comp injury. If you have any questions regarding workers’ comp, please call our main number at (918) 392-1403. On your way in with an injury? Here is some more information to help prepare for your first visit to Tulsa Bone & Joint Orthopedic Urgent Care. Here are some frequently asked questions you may have before coming to our orthopedic urgent care center. When is the Orthopedic Urgent Care clinic open? An appointment is not necessary – walk in today! What information will be required during my visit? Do you accept assignment for Medicare? Yes, Tulsa Bone & Joint has physicians who accept workers’ compensation cases. From diagnosis to status reporting, to follow-up visits and return to work, we cover every aspect of orthopedic workers’ compensation cases. Do you conduct drug testing for a workers’ compensation injury? Our staff is trained and certified in Chain of Custody drug testing for post-injury accidents. Tulsa Bone & Joint is a preferred provider for most major insurance carriers. Yes, follow-up care is available. If required, follow-up care will normally be scheduled within 48 hours of your initial visit. Still have questions? Feel free to call the Orthopedic Urgent Care clinic at (918) 236-4500. Injured? Don’t spend hours in the ER waiting for a referral. Come see an orthopedic specialist now, at our orthopedic urgent care center in Tulsa, with follow up care scheduled within two normal business days of initial urgent care visit. 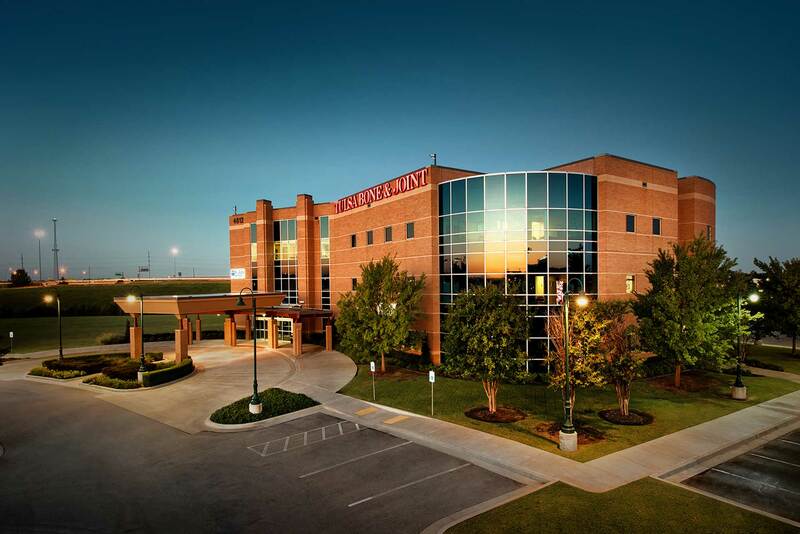 To learn more about our orthopedic urgent care center call (918) 236-4500. 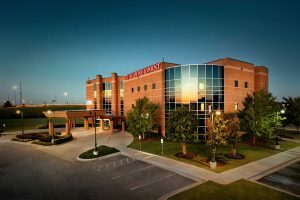 Tulsa Bone & Joint Orthopedic Urgent Care bills as a specialty office – not as an urgent care clinic. We accept most insurances. Please call (918) 236-4500 for further details.